Below you will find an overview of some of the projects I have been working on. Some pieces are written in Dutch others in English. Beginning of 2010 I bought a LG N2R1 NAS. I managed to install NZBGet on it in April 2010 and I installed Squeezebox server on it in January 2011. 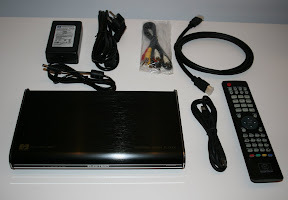 I bought an Elektron 606 HD video player. On this page I keep track of information about it. Why? Because the manual is far from complete. My latest project has been Monitio.nl. A place to store your annual reminders like birthday dates. It is not supposed to be an agenda, but a warning system to remind you of yearly events. For my new phone I started programming Sokoban in java J2ME. This page will show my Sokoban version and some useful j2me info. I added a minimalistic webpage to be used on my mobile phone. The Sony Ericsson W800i shows it nicely. I created a Windows JScript to backup my iTunes rating into the mp3 file itself. The script can copy from an iTunes labrary to your mp3 file and back. In augustus 2005 hebben we een aquarium aangeschaft en we hopen er een mooi object van te maken dat onze woonkamer siert. Op basis van een aantal voorbeelden van internet hebben we onze eigen achterwand gemaakt. De achterwand is goed geslaagd voor een eerste keer. I got an old server from my mom. I'm trying out running MythTv on it. I created a Frequency 2 Channel converter for MythTv. Currently I'm playing around with Robocode (april 2005) for more information look at my Robocode page. I started a page on www.simplerecorder.com. The initial thoughts can be found here: http://www.escay.nl/netmd/. It has been an ongoing effort to try to create a decent application that enables me to backup all my Minidiscs onto my PC. The progress has been: 1) trying under linux, 2) I've written a windows driver that allowed control under windows of my NetMD unit, 3) write a Windows application against the Sony driver (This work can be found on the simplerecorder page) and finally 4) I'm now working on a Java version which uses JNI to connect via C to the Sony driver. This last version does have some potential. I still want to publish this as open source software. For school I needed to work out a few Scheme excercises. The results can be found here. Dit document is een weergave van het verloop van mijn IVK project genaamd 'Handschriftherkenning'. Het gaat om een project dat ik doe tijdens mijn studie Hogere Informatica aan de Hogeschool van Amsterdam. IVK staat voor Intern Verkregen Kwalificaties. Het doel is om zelfstandig ervaring op te doen op gebieden die passen bij een zelfstandig studieplan. Het is het laatste onderdeel van de studie voordat er afgestudeerd kan gaan worden. This document is part of a student project at the Hogeschool van Amsterdam, The Netherlands. The goal of the project is to develop a program for handwriting recognition. This document describes the way I created a back-propagation network that I'll be using for a handwriting recognition program. It is intended to give the reader the opportunity to develop a basic back-propagation network. The document also provides source codes of my developing steps. This document gives you the ability to set up a back-propagation network. This document is intended to give the reader the opportunity so set up a web server that enables Java Servlet developing. Note that this manual is not the way it probably should work for a production environment, but it's the way we made it work for us! Suggestions are welcome! Object georiënteerd programmeren was het vak, deze lift is het resultaat van de opdracht. Het liftsysteem kan eenvoudig uitgebreid worden naar oneindig aantal liften en verdiepingen. Het systeem is ook nog enigzins intelligent zodat personen zo kort mogelijk op een lift hoeven te wachten. 30 Jaar garantie op je Eastpak rugzak, leuk maar dan moet je wel weten waar je hem heen moet sturen. Hier een kleine zoektocht naar het adres, tegenwoordig kan je het wel op de Eastpak.com website vinden. Overburning Minidiscs by cloning TOC (13 November 1998). One of my contributions to www.minidisc.org was the fact that right after TOC cloning was possible I thought: let's try to clone a TOC of a 74 minutes onto a 60 minutes disc. My 'howto' can be found here. This is also one of the first traces of me I left on the internet.